1977 Saudi Arabian Archaeological Reconnaissance 1976. The Preliminary Report on the First Phase of the Comprehensive Archaeological Survey Program. Atlal 1: 21-40, pl. 12. 1955a Rock engravings in the Central Negev. Archaeology 8: 31-42. 1955b Ancient rock drawings in the Central Negev. Palestine Exploration Quarterly 87: 49-57. 1955c Una scene di danza nel Negev Centrale. Rivista di Scienze Prehistoriche 10: 70-75. 1956 Rock engravings in the Jebel Ideid (Southern Negev), Palestine Exploration Quarterly 88:5-13, Pl I-IV. 1963 Ancient art in the Negev, Ariel 6: 63-77. 1967 Rock engravings in the Central Negev. In The Archaeological Institute of America (ed. ), Archaeological Discoveries in the Holy Land. Crowell, New York. Pp. 49-54. 1968a Rock-Art in Central Arabia: The “oval-headed” people of Arabia. Publications de I’Institut Orientaliste de Louvain 1. 1968b Rock-Art in Central Arabia: Part I: Fat-tailed sheep in Arabia; Part II: The Realistic-Dynamic style of rock-art in the Jebel Qara. Publications de I’Institut Orientaliste de Louvain 2. 1972 Rock-Art in Central Arabia: Corpus of the Rock-Engravings. Parts I and II. Publications de I’Institut Orientaliste de Louvain 3. 1974 Rock-Art in Central Arabia: Corpus of the Rock-Engravings. Parts III and IV. Publications de I’Institut Orientaliste de Louvain 3. 1996 The horse at Qaryat al-Fau. In D. Alexander (ed. ), Furusiyya. Vol. 1: The Horse in the Art of the Near East, pp. 54-59. King Abdulaziz Public Library, Riyadh. 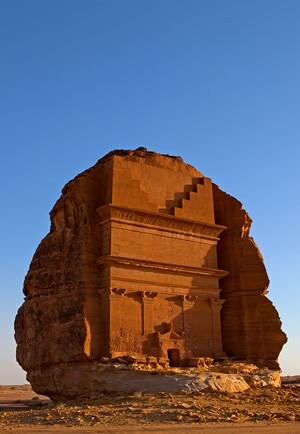 2010 Roads of Arabia: Archaeology and History of the Kingdom of Saudi Arabia. Musée du Louvre, Paris. 2010 In Search of the Arabian Horse. Carnegie Magazine, Winter 2010. 2001 The Middle East. In David S. Whitley (ed. ), Handbook of Rock Art Research. Altamira Press, Walnut Creek, CA. Pp. 786-824. 1987 The desert “kites” of the Badiyat Esh-Sham and North Arabia. Paléorient 13(1): 41-67. 1881 A Pilgrimage to Nedj. John Murray, London. Reprinted 2002, Gorgias Press, Piscatawny, NJ. 1935 Arabian Adventure, to the Great Nefud in Quest of the Oryx. Witherby, London. 1975a The rock art of Oman. Journal of Oman Studies 1: 113-122. 1975b Rock art in the Oman mountains, Proceedings of the Seminar for Arabian Studies 5:13–19. 1978 The camel: Its distribution and state of domestication in the Middle East during the third millennium B.C. in light of the finds from Shahr-i Sokhta. In R.H. Meadow and M.A. Zeder (eds). Approaches to Faunal Analysis in the Middle East. Peabody Museum Bulletin 2: 119–128. Peabody Museum of Archaeology and Ethnology, New Haven, CT.
1971 Archaeological Survey in the Northern Trucial States, East and West, New Series 21 (3-4): 225-276. 1888 Travels in Arabia Deserta, 2 Volumes. Cambridge University, Cambridge. 1896 Tagbuch einer Reise in Inner-Arabien. Band 1. E.J. Brill, Leiden. 1914 Tagbuch einer Reise in Inner-Arabien. Band 2, herausgegeben von Enno Littmann. E.J. Brill, Leiden. 1997 L’art des Origines au Yémen. Seuil, Paris. 2003 Dancing at the Dawn of Agriculture. University of Texas Press, Austin. 1981 Environment and settlement during the Upper Pleistocene and Holocene at Jubbah in the Great Nafud, northern Arabia. Atlal 5: 137-148. 2012 Antiquarianism, copying, collecting. In D.T. Potts (ed. ), A Companion to the Archaeology of the Ancient Near East. Wiley, Hoboken, NJ. Pp. 27-47. 1939 Kilwa: A Review. Antiquity 13. 416-424. 1989 The camel in Arabia: A direct radiocarbon date calibrated to about 7000 BC. Journal of Archaeological Science 16: 355-362. Groucutt, H.S. and Petraglia, M.D. 2012 The Prehistory of the Arabian Peninsula: Deserts, Dispersals and Demography. Evolutionary Anthropology 21: 113-125. 2008 Art rocks in Saudi Arabia. Saudi Aramco World 59(7): 18-25. 1968 The Mammals of Arabia. Vol. I and II. Ernest Benn Ltd., London. 1943 Journey to Kilwa, Transjordan. The Geographical Journal 102(2): 71-77. 1933 Prehistoric rock-drawing in Transjordan. American Journal of Archaeology 37(3): 381-86, pls. XL-XLI. 1891 Journal d’un voyage en Arabie (1883-1884). Imprimerie Nationale, Paris. 1994 Petroglyphs in Wadi Ashwani, Fujairah. Tribulus 4(2): 24. 1991a Research on Rock Art in North Yemen. Istituto Universitario Orientale, Naples. 1991b Bronze Age rock pictures in North Yemen. East and West 41: 47-78. 1994 A map of southern Yemeni rock art with notes on some of the subjects depicted. Proceedings of the Seminar for Arabian Studies : 24: 135-156. 1991 Recent rock art and epigraphic investigations in Saudi Arabia. Proceedings of the Seminar for Arabian Studies, 21:113-122. 1993 Prehistoric Rock Art of Northern Saudi Arabia. Ministry of Education, Department of Antiquities and Museums, Riyadh. 1998 A critical review of rock art studies in Saudi Arabia. East and West 48(3): 427-437. 2000 Wusum: The Tribal Symbols of Saudi Arabia. Ministry of Education, Department of Antiquities and Museums, Kingdom of Saudi Arabia, Riyadh. 2003 Rock art of Saudi Arabia: Yesterday and Today. In: Bahn and Fossati (eds. ), Rock Art Studies: News of the World 2. Pp. 82-87. Oxbow Books, Oxford, England. 2007 Rock Art of Saudi Arabia across Twelve Thousand Years. Riyadh. 2008 Symbolism in the rock art of Saudi Arabia: hand and footprints. Rock Art Research, 25(1). 2012 The Arabian Horse: Origin, Development and History. King Fahd National Library, Riyadh. 1996 Hunting, fighting, and raiding the horse in Pre-Islamic Arabia. In D. Alexander (ed. ), Furusiyya, Vol. 1: The Horse in the Art of the Near East, pp. 72-83. The King Abdulaziz Public Library, Riyadh. 2009 A note on the inscription below the drawing of a horseman. Pp. 372-373. In B. Jacobs and M.C.A. MacDonald, Felszeichnung eines Reiters aus der Umgebung von Tayma. Zeitschrift für Orient-Archäologie 2: 364-376. 2009 Wheels in a land of camels: another look at the chariot in Arabia. Arabian Archaeology and Epigraphy 20(2): 156-184. 2010 Ancient Arabia and the Written Word. In M.C.A. MacDonald (ed). The Development of Arabic as a Written Language. Supplement to the Proceedings of the Seminar for Arabian Studies, 40: 5-28. Archaeopress, Oxford. 1982 The inscriptions and rock-drawings of the Jawa area: A preliminary report on the first season of field-work of the corpus of the Inscriptions of Jordan Project. Annual of the Department of Antiquities of Jordan 26:159-172. 2010 Desert Rats: Rock Art Topographical Survey in Egypt’s Eastern Desert: Site Catalogue . BAR S 2166, Archaeopress, Oxford. 1987 Fruits of Warm Climates. Miami, FL. Pp, 5-11. 2010 The horse in Arabia: The early times. In S.L. Olsen and C.L. Culbertson, A Gift from the Desert: The Art, History, and Culture of the Arabian Horse. Pp. 50-61. International Museum of the Horse, Lexington, KY.
1950 Assyrian and Babylonian Texts. In Pritchard, J.B. (ed.) Ancient Near Eastern Texts Relating to the Old Testament. Princeton University, Princeton, NJ. Pp. 246-286. 2006 A record of Holocene climate change from lake geochemical analyses in southeastern Arabia. Quaternary Research 66:465-476. 1978 Preliminary report of the second phase of the Northern Province Survey 1397/1977. Atlal 2: 29-50. 1957 The Land of Midian. Benn, London. 1990 The Arabian Gulf in Antiquity: Volume I: From Prehistory to the Fall of the Achaemenid Empire. Clarendon Press, Oxford. 1990 The Arabian Gulf in Antiquity, Volume II: From Alexander the Great to the Coming of Islam. Clarendon Press, Oxford. 1938 Transjordanien: Vorgeschichtliche Forschungen. Verlag Strechker und Schroder, Stuttgart. With contributions by Franz M. Th. Böhl and K. Willman. 1983 The rock-art survey, 1982. Annual of the Department of Antiquities of Jordan 27:575-76. 1982 The rock-art survey of the Jawa area, 1981. Annual of the Department of Antiquities of Jordan 26:168-69. 1936 Two months in the Hadhramaut. Geographical Journal 87(2): 113-124. 1932 Arabia Felix: Across the Empty Quarter of Arabia. Scribner, New York. 2008 Saudi Arabia: An Environmental Overview. Taylor and Francis, Leiden, The Netherlands. 1970 Ancient Records from North Arabia. University of Toronto Press, Toronto. 2000 The Initial Domestication of Goats (Capra hircus) in the Zagros Mountains, 10,000 years ago. Science 287(5461):2254-2257. 1998 A study of the petroglyphs from Wadi al-Hayl, Fujairah, United Arab Emirates. Arabian Archaeology and Epigraphy 9(1): 13-89. 2007 Rock Art: Petroglyph sites in the United Arab Emirates. Arabian Archaeology and Epigraphy 18(2):208-238.